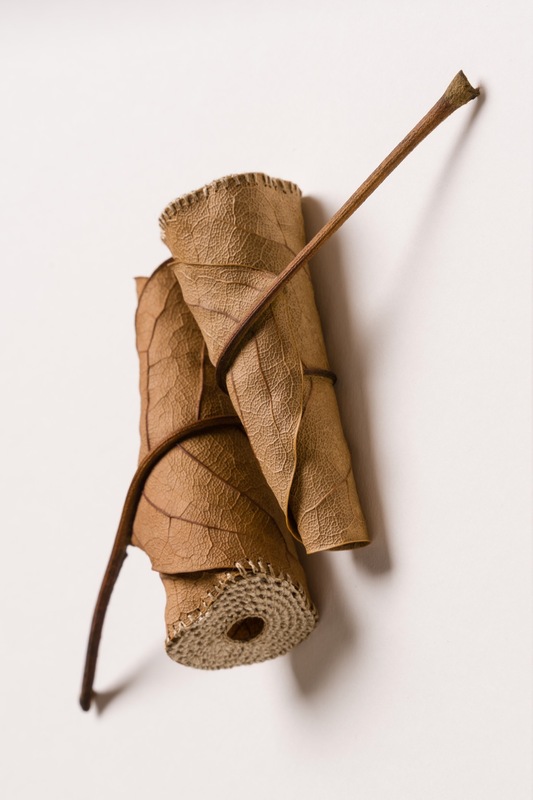 “I work with found natural objects. 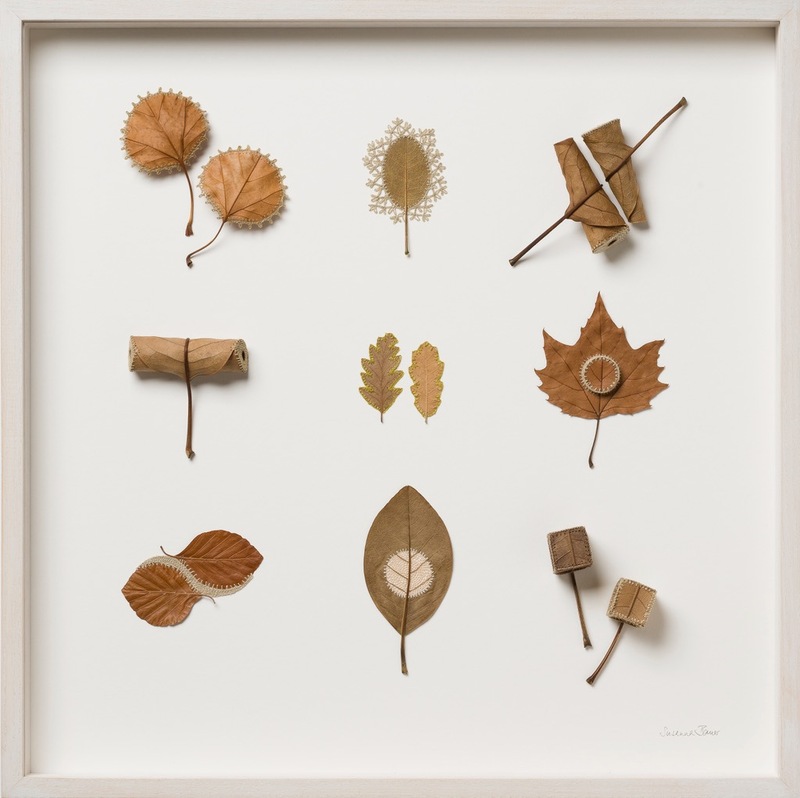 Leaves, stones, pieces of wood…ephemeral things, easily overlooked. 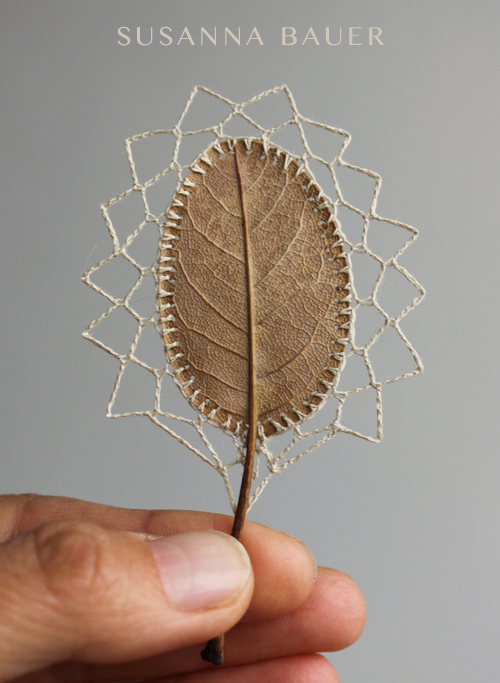 And I use crochet; sometimes as embellishment, but mostly in a more unconventional way as a means of sculpture and construction.